This photo was taken in June of 2010 in Galena, IL. 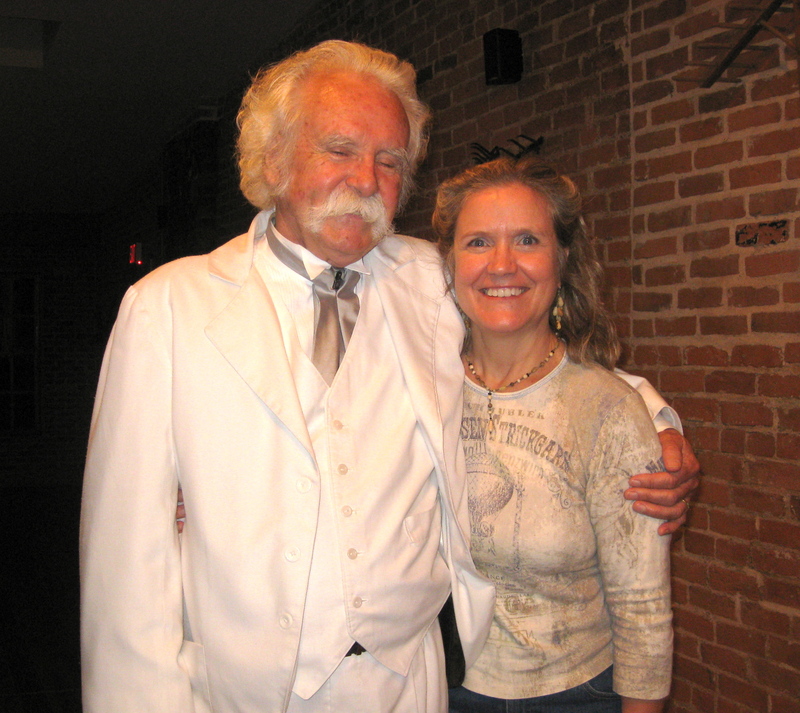 Jim had just finished performing his one-man play/musical “Mark Twain and the Laughing River”. Jim used to host a live radio show at the Chicago Old Town School of Folk Music called “The Flea Market”. He asked me to be on his show many times. I was always happy to oblige! Thanks, Jim!